To make this shot interesting, I had to angle the boardwalk, the hot spring, the moon and its reflection into the frame. There’s so much to look at in the photo. 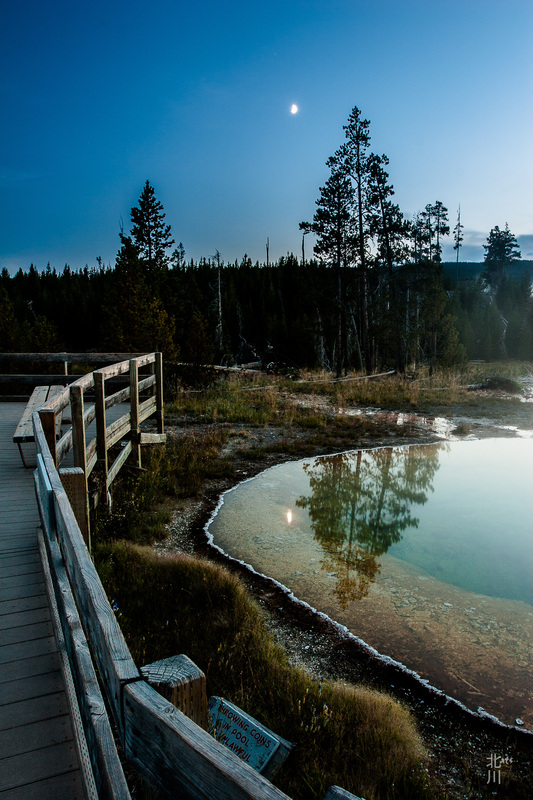 This entry was posted in Landscapes, Night, Travels, Trees, Water and tagged Moon, Travels, Yellowstone.